I am Danica Mae B. 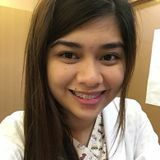 De Leon, a registered nurse with competitive experience of 5 years in caring for newborn and children. I am looking for a nanny job, day care job, or anything that is considered to be part of ng profession which is highly connected to serving, caring and sharing knowledge to children as well as the parents. Hi I'm danica, a registered nurse with 5 years experience in Neonatal and Pediatric intensive care unit.